Vaastu remedies using Pyramids, Crystal, available plants and so many things those you can easily find in your home.Vaastu correction without demolition. Numerology is a science of exploring hidden powers of numbers and their influence on human beings. The most ancient form of Numerology is called Chaldean Numerology which is generally followed in India also. indian numerology lucky numbers	Indians see numbers as symbols of certain types of cosmic powers. And they link them with spirituality. For example 0 is a number that encircles some part of the infinite universe. The inner part of it is separated from the vast outer space. This is similar to human body where the soul (Jeevaatma) resides. A human being always feels that he is separate and the outer universe is different from him. He confines his soul with his present body and thinks that he and the body is one and the same. Thus he has forgotten the truth that he is the all-pervading God. This is called cosmic delusion (Maaya). So 0 represents the cosmic delusion. This means 0 gives false impression that what ever is not there, is there. Let us add 0 after 1, then that 1 appears as 10. This means 1 is assuming a different form, because of 0. This is same as the super-soul appearing in different forms because of Maaya. Dream Analysis finds its root from Babylon, Assyria , 3000 BC, and Indian Vedas mentions it as 1000 BC old science .lot of other civilizations have also had a follow up on this esp. Chinese and Arabic. In second century a book named ‘Oneirocritica’ also came. Dreams are basically an opening into our own life, they can tell us about our future, or give us an insight about some issue, or guide us a remedy or solution to any problem in our life. We take dream as a part of sleeping that is unawareness but dreams take us towards an insight. They take humans towards a higher awakening.Our history has been very evidential on this topic in its self, where dreams have given them the premonitions of future, like john f Kennedy dreamt of his death a night before his assassination. Be it problems in your relations, with family, of wealth, health, happiness they can answer from one to all. In ancient’s times, dreams were believed as messages from soul or a precious gift of god. Dreams give you both psychological and spiritual dimension to your life. Dreams give you analysis of life, thoughts which are hidden in subconscious come to surface and entire whirlpool of mind can be unleashed through them. Shani Ki Dhaiya KYA HAI SHANI KI DHAIYA :- When Shani transiting over the Fourth and the Eighth house from the Natal Moon, it is called the Fourth & the Eighth Dhaiya respectively. Shani takes complete 30 years to take a round of the zodiac. Thus, it remains for two and a half years over each sign. When Shani transits over the fourth or the eighth house from natal moon, it is called 'Dhaiya'. These two periods of 'Dhaiya' leave the good and the bad effects over the native. Every body has to pass through this period. Those having malefic effects of Shani, should perform remedial measures, without fail. 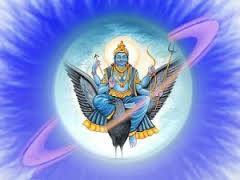 In the 'Dhaiya' of Shani, its impact on our life increases and the malefic position causes to increase malefic effects. The benefic effects of moon are turned down and are gone useless. Thus, the native gets surrounded by the problems and the troubles. There may be unhappiness due to various reasons, physical hardships and a state of mindlessness may prevail. There may be fear from thieves, powerful persons, poison and weapons. Children may suffer and separation from children and dear ones may cause unhappiness. One may fear insult and defame from lowly people . Ketu Ki Dasha Ketu will represent the Sign / House occupied by them in your Chart, provided they are not associated with any other planets. They have the right and the power to modify the outcome. Whenever their main or sub-periods are active in the Vimshottari Dasha, look for the adjacent period lords and check if they have any association with these lords due to the House / Sign / Star or Sub. Try and imagine that the star portion in a Sign is a container by itself and if Rahu and another planet occupy or are contained in this star, then Rahu can and will preside over the other planets functionality in total and whenever such associated planet comes as an adjacent period lord Rahu will provide the functionality instead of the said planet. The bad effects of Manglik Dosh can be reduced with the help of astrological remedies which would generally include the application of Pooja, Mantras, Gemstones and Charities and these remedies are different for different individuals depending upon their horoscopes. Mangal Dosh The most dreaded concept of Mangal Dosha/Manglik, as per classical vedic astrology principles means early death of spouse or inharmonious relationship with the spouse in the early years of marriage. A person is treated as Manglik when Mars is placed in the first, second, fourth, seventh, eighth and twelfth houses from the natal ascendant or natal Moon. Some modern astrologers even include these positions from Venus. This way more that 80% of the human beings will be graded as Manglik. In classical astrology, there are some exceptions for those ascending signs (Aries, Scorpio, Cancer and Leo) where Mars is a benefic planet. This concept is not true. Pitra Dosh Manes are known as Pitra in Hindi. Pitra are those people who died unnatural death and did not get salvation. Due to this, people perform remedies for the pacification of Pitra Dosha. Kaal Sarpa Dosh The person born under Kaal Sarp Yog passes through death like agonies throughout the life. The Kaal Sarp Yog is formed when all the planets are situated between Rahu and Ketu. Shani Ki Drishti When King Ravana succeeded in getting the control over all the nine planets, he installed them face downward on the nine steps that led to his throne. Each morning, he would step on their back to ascend his throne, causing insult and anguish to them. 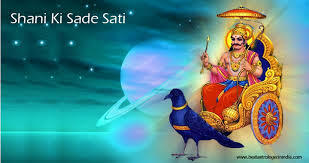 One day the sage Narada came to Ravana, and upon seeing the state of the nine planets asked Shani, how as the mightiest and the most terrible of the planets, he can bear this insult? Shani replied that because he is laying face downward he is helpless, if only he can cast his gaze on Ravana, matters would change. After Narada was shown around the magnificent palace of Ravana the proud king wanted his opinion. The wise sage replied that everything was excellent at the palace of Ravana, except for one. That was, how can Ravana get the pleasure of subduing the nine planets when they are lying face downward? It is better if they were to lay face upward so that when Ravana stepped over their chests, he could get the pleasure of seeing their discomfort on their faces. This suggestion appealed to the mighty king and he quickly ordered his staff to turn the nine planets around on their backs. As soon as that was done, Shani's gaze fell on Ravana and his reason abandoned him. Within a few months he kidnapped Sita, the wife of Lord Rama that led to Lord Rama's invasion of his kingdom. Ravana and his entire family was killed, all this during the seven and half year cycle of Shani.